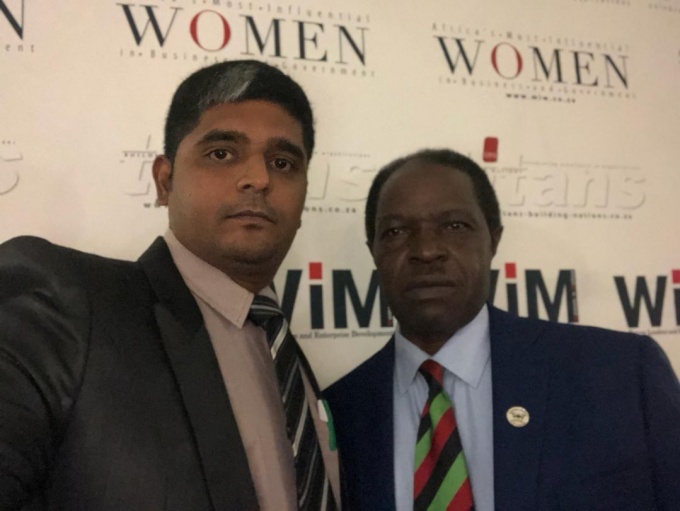 I believe in the Holy Bible moreover this time round I am sharing in relation to the verse Mathew 13:12 that reads ‘For to the one who has, more will be given…’ and I am privileged to be a part of Prof. Bazeyo’s journey and efforts towards ‘Being a CONTRIBUTION’. 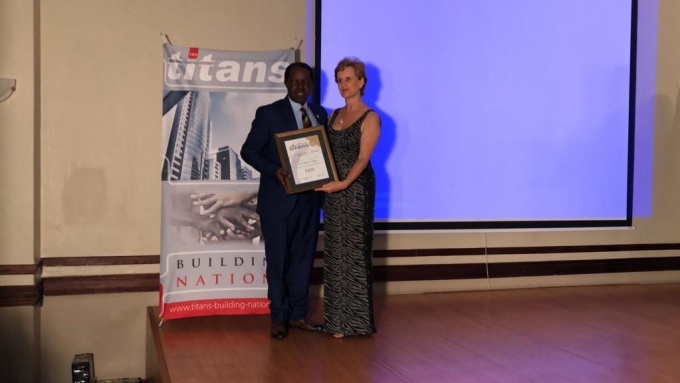 Following Prof. William Bazeyo’s regional win in the Titans Building Nations Program on November 3rd 2018 in Protea Hotel, Kampala Uganda, details are also shared on http://www.ranlab.org/ran-chief-of-party-prof-william-bazeyo-recognized-by-titans-building-nations-program, http://www.pmldaily.com/news/2018/11/makerere-professor-wins-ceo-global-pan-african-country-regional-awards.html and https://news.mak.ac.ug/2018/11/prof-bazeyo-wins-ceo-global-pan-african-country-regional-awards, Prof. Bazeyo joined and won the continental awards (Africa) emerging BEST in the Education, Training and Research category! Join us in heartily congratulating our (RAN) dear Chief of Party for yet another well-deserved CONTINENTAL award. We are all proud of you Papa and Congratulations once again! 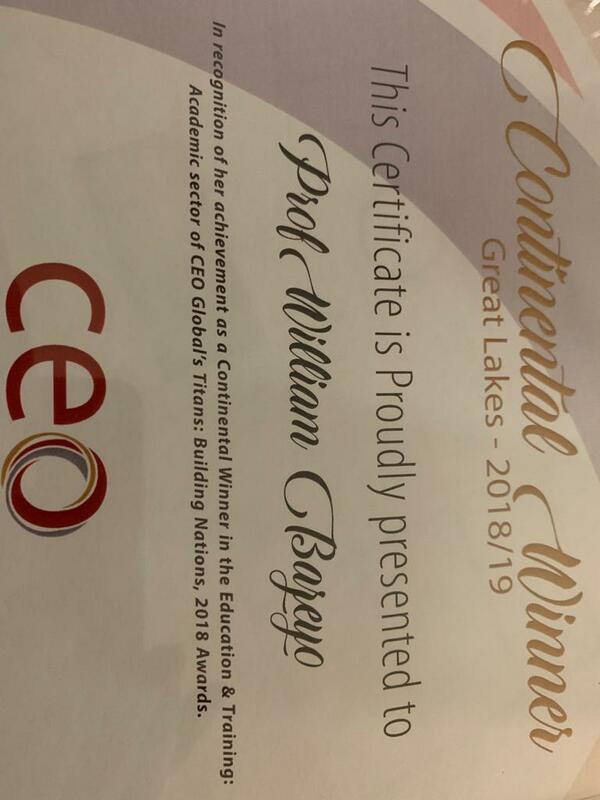 The earlier Regional Award set the platform for Prof. Bazeyo to compete in the Continental Awards which took place yesterday Tuesday November 27, 2018 in Johannesburg, South Africa. All the regional winners from West Africa, East Africa and South Africa were evaluated again and Continental winners were selected and recognized in different categories including; Media, Research, Health, Training, Tourism, Education, Banking among others. 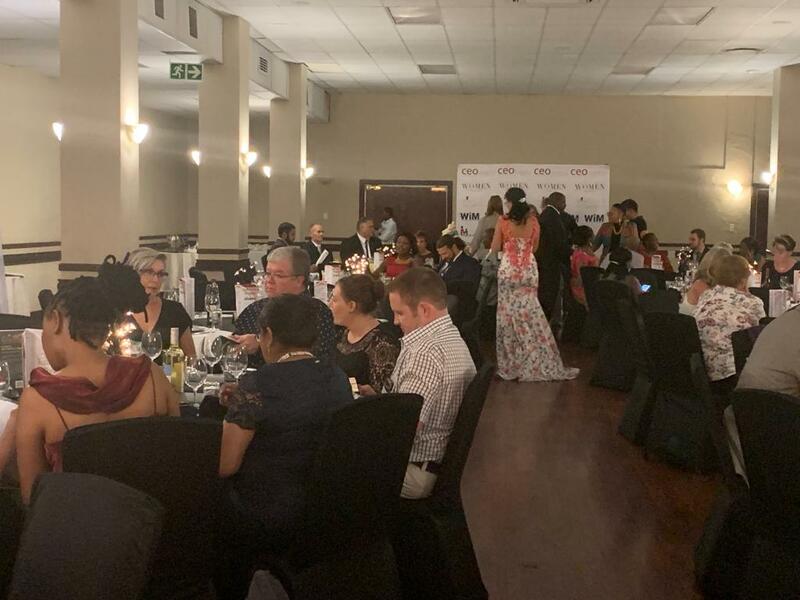 During the Continental Awards ceremony, there were 57 participating countries (nominees) and 57 country winners were selected for up to 23 categories. Africa was divided into 8 regions and 8 Regional winners were selected and recognized, one winner per category. 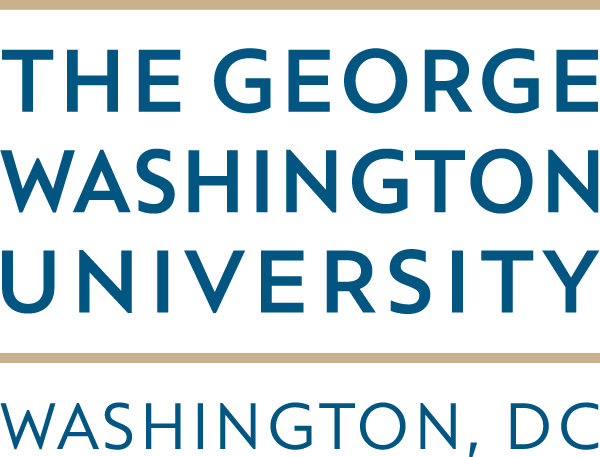 Additionally, out of the 8 Regional winners per category, a Continental winner for each category was selected and recognized. 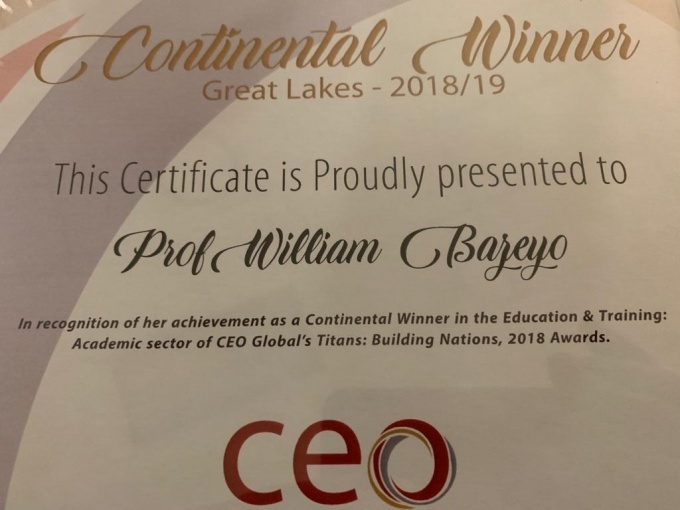 ‘In the Education, Training and Research in Africa I have emerged the Continental winner. Thank you all for your support all the time’ shared a happy Prof. Bazeyo. ‘Congratulations Prof. William’ noted event moderator as Prof. Bazeyo walked up the stage to receive his certificate. The Continental winners have the opportunity to join the “Network of Influence”, which will give them access to developmental tools, investment opportunities and serve as a platform to bring together small and medium enterprises within the corporate and the public sector. 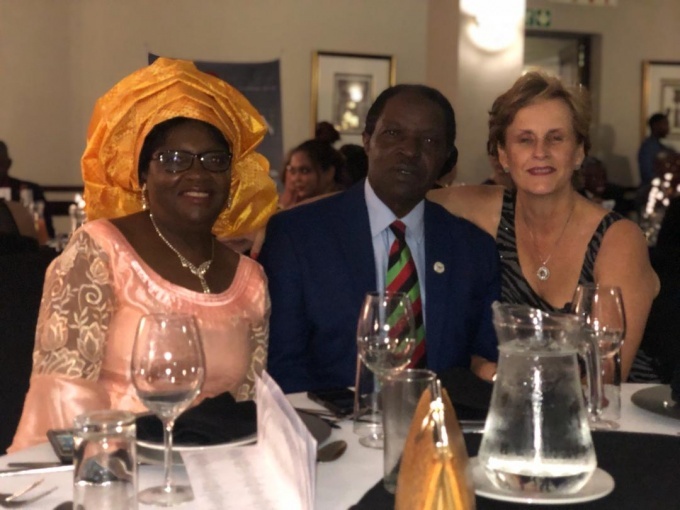 ‘Congratulations Prof. Bazeyo, my mentor, this is yet another well-deserved award to spur all efforts towards ‘Being a CONTRIBUTION’ to the positive transformation of communities. We are lucky and proud to closely work with you and pledge our best to all initiatives’ said Dr. Roy William Mayega, Deputy Chief of Party at ResilientAfrica Network (RAN) www.ranlab.org.